GBF (Grower and Broiler Finisher) is a premix formulated for growers mash (feeding pullets/layers) and also the finisher mash (broilers). These provide the necessary nutrients needed for improved productivity, growth and performance. 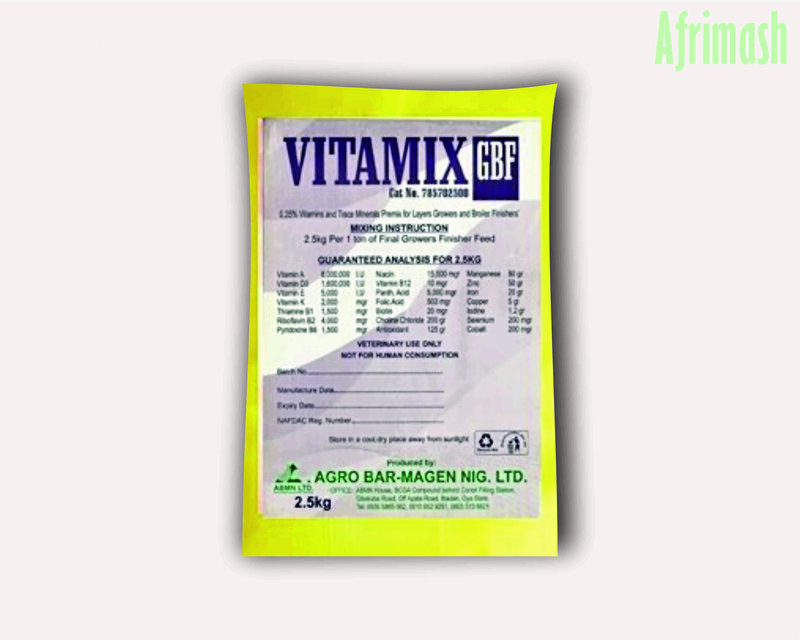 VitaMix GBF Premix (Grower and Broiler Finisher) is formulated for use in farms where growth promotion is important. They are designed to provide extra vitamins and minerals that lightweight animals need to develop strong bones and grow quickly. 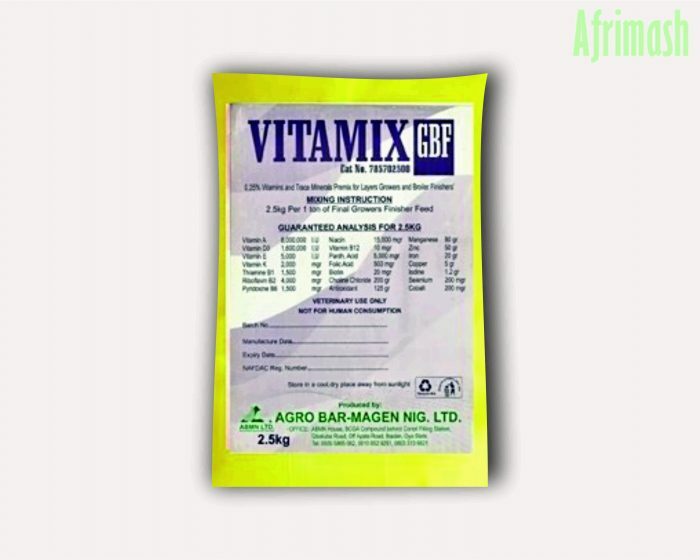 GBF is formulated with a wide range of essential vitamins and trace minerals. In growers/broilers, GBF works on the solid foundation laid by VITAMIX BCP in chicks. Thus, GBF nutrition supports the development and maturity of organs of the reproductive tract, nervous and sensory systems (especially eyesight). Rapid growth and development of growers. We deliver day old chicks on Mondays and Thursday while Turkeys are delivered on Thursday alone. Delivery will be made in a maximum of 7 working days from the date the order was made. Please always confirm your birds with the driver or delivery agent before leaving the drop off point.